There are hundreds of yoga colleges around the world. If you're interested in becoming a yoga instructor or expanding your knowledge of your current practice, a yoga college can help. Most yoga colleges have an hour-based program. A basic program is approximately 200 hours, but a 500-hour teachers' program is also common. More comprehensive training involves 800- and 2,000-hour programs. Yoga school programs vary in length. Almost all are in-house, intensive training for approximately two weeks to one month. Larger schools or specific certification programs occasionally offer evening and weekend classes as well. The hour requirement determines the length and intensity of training. There are more than 100 different yoga styles to learn. Often, training programs will establish a foundational knowledge in a root yoga form, such as hatha yoga or kundalini yoga. Through additional hours, you'll learn the expanded variations of the style. What form of yoga do you enjoy? What group of people do you want to work with day after day? Are there certain instructors with whom you'd like to study? What are the instructors' backgrounds? What material will be reviewed and how is it presented? Is the school bonded, and within the guidelines of all federal, state, and local regulations? What's the refund policy for an incomplete program? For more helpful information on choosing the right yoga school, visit Yoga Alliance. Yoga Alliance is a governing body for studios, yoga schools, and instructors. Yogis interested in being certified yoga instructors start with a 200-hour program. Completing a 200-hour program will allow you to teach yoga to others. You'll learn the principles of yoga, approximately 50 foundation asanas, pranayama, and other breathing techniques. A 500-hour program builds upon the foundation already established in yoga. This course varies from one yoga college to another, but most 500-hour programs expand on the elements of living a yoga lifestyle, in body and spirit as well as relationships; teach more complex standing postures and breathing techniques; and delve deeper into the yoga sutras to develop a stronger understanding of what it means to be a yogi. Instructors seek out additional hour training at a yoga college to enhance personal goals and practice, to train with a legendary yogi, or perhaps to advance in a form of yoga. Pursuing advanced training may also extend teaching opportunities for an individual. The cost of attending a yoga college varies considerably on the type of yoga you'll learn, the host of instructors, the facilities, as well as the reputation of the institution or instructor. Plan to spend $500 to $3,000 for instruction. If you have to travel to attend yoga school, also factor in the cost of transportation. Sometimes package prices including lodging and meals. For other training programs, however, the student is responsible for those amenities. Teaching instruction isn't offered at every yoga studio. In fact, certain areas of America and Europe do not have teacher training or a yoga college. Depending on where you live, you may need to travel to the yoga school of your choice. Baron Baptiste Power Yoga Institute: Baptiste's power vinyasa yoga program will train teachers in this discipline. Based in Massachusetts, this program requires prior teaching experience and the completion of prerequisites. Bikram's Yoga College of India: For yogis interested in learning the specialized Bikram yoga method, there are many certification and re-certification opportunities around the world. Atmananda: This school certifies aspiring instructors in the New York area through 200- and 500-hour programs. The focus of training is the atmananda sequence, created by Centerpoint principal Jhon Tamayo. 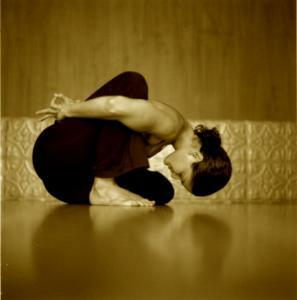 It combines ashtanga, hatha, and Iyengar styles of yoga in a vinyasa flow format. Kripalu School of Yoga: Set in the tranquil Berkshires of Western Massachusetts, Kripalu has 200- and 500-hour programs, on-site lodging, and meals. Students can choose from an intensive two-week training or a month-long immersion. There are at least six faculty members leading instruction. Yoga and Polarity Center: This yoga school in Boulder, CO, offers both 200- and 500-hour teaching training. Both programs are featured on weekends. The estimated completion time of the 200-hour program is about six months, and most finish the 500-hour training in about two years. Heather Principe is the owner and founder of the center. The Center for Yoga of Seattle: For more than 30 years, director Richard Schachtel has taught yoga in the B.K.S. Iyengar style. Every year, Schachtel renews his practice by studying with Iyengar in India. His teaching certification focuses on various levels of Iyengar yoga immersion, as well as a 200-hour program. Another method you can use to find yoga colleges is to search on the Yoga Alliance website. Also, ask the instructors at your local yoga center where they learned and gather their input on the process, instructors, and facilities. If your personal practice is enriching and you think you have a gift for sharing that with others, it might be time to attend yoga college. Yoga instructor Hala Khouri, who teaches at the Exhale Center for Sacred Movement in California, states "I can think of nothing more rewarding than teaching. To watch people transform, and get to hold space for all the courageous beings who chose this path, is the greatest honor. I learn so much from my students; their reflections and their own process enriches mine."